On Tuesday night, Kim Kardashian, Khloe Kardashian and Kourtney Kardashian headed to Westwood, Calif., to celebrate the opening of UCLA's Robert G. Kardashian Center for Esophageal Health in Los Angeles. Joined by Kris Jenner and Kendall Jenner, the family unit posed on the red carpet and explained just how special this center will be for so many people in need. "We're really excited. It's been years and years in the making," Khloe shared on Instagram Stories. "I just can't believe it's now going to be a reality. We're so excited and honored." As seen on social media, Khloe explained why the center is so important and how it could impact so many lives for the better. "The UCLA Robert G. Kardashian Center for Esophageal Health will provide resources for groundbreaking research, patient care, and education/training, in addition to support of efforts in esophageal health," Khloe's IG Story stated. "The naming of the center and its dedicated specialty services will assist in advancing UCLA's position at the forefront of the world for the study and treatment of esophageal and other GI disorders—improving the quality of life for countless patients and their families." Robert passed away in 2003 at the age of 59 from esophageal cancer. He was a well-established attorney and businessman who worked for the infamous 1994 O.J. Simpson case. As for the new center, Robert's daughters can't help but express how proud they are to see their father's impact continue throughout Southern California. 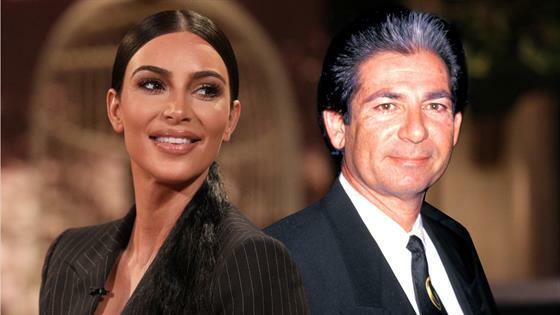 "Our family is proud to pay tribute to our father by partnering with UCLA Health to establish the Robert G. Kardashian Center for Esophageal Health," Kim said in a statement. "We look forward to working with our longtime family friend, Dr. Eric Esrailian, the Melvin and Bren Simon Digestive Diseases Center, and the UCLA Vatche and Tamar Manoukian Division of Digestive Diseases to build the best program of its kind in the country." Kim added, "We hope to save lives and help the community for many years to come in honor of our father."